Submissions are now open for Depict ’19 – our ultra-short film competition that asks filmmakers from around the world to create an original short film under 90 seconds long. Committed to uncovering emerging filmmaking talent, we’re looking for your mini-masterpieces to be in with a chance of being selected for this year’s shortlist. It doesn’t matter if you’ve got a big budget or a minuscule one; whether you specialise in documentaries, animation or live-action; whether you live for sci-fi, horror or rom-coms; or hail from Russia, China or Brazil – as long as your film is less than a minute and a half in length, you can submit your short film to this year’s competition for free! We’re interested in seeing as many original, imaginative and engaging films as possible and giving the best of these works and the talent involved the support and exposure they deserve via the Depict competition, which provides a platform to showcase and valuable industry networks. If your film makes the Depict 2019 shortlist, you’ll be invited to showcase your film at Encounters Short Film and Animation Festival (24 – 29 Sept 2019), the UK’s longest running competitive short film and animation festival. Distributors, producers, funders, exhibitors, fellow filmmakers, and enthusiastic fans of the short film format – not to mention our stellar judging panel, which last year included twice Oscar® and BAFTA nominated Cinematographer Seamus McGarvey – will all be there, so it’s the perfect opportunity to get some priceless exposure and industry experience. You’ll be in with a chance of winning up to £2500 prize money thanks to sponsors including The Royal Photographic Society and Aardman Animations as well as other exclusive prizes and opportunities to help you get to the next stage of your career courtesy of partners such as Channel 4’s Random Acts, BFI NETWORK, BAFTA, NFTS and Shooting People. Previous Depict winners have had their work screened at international film festivals, been picked up by commercial distributors, carved themselves successful careers in the film industry and beyond. Sound like your kind of challenge? As long as your film is under 90 seconds or less, you can enter your film to Depict – it is always totally free to enter your movie and you can submit your movie this year via FilmFreeway, making it easy to get your work to us! Submissions close on Mon 1 July 2019 so there is plenty of time to read the rules and get some more inspiration by checking out our archive of nearly 20 years of teeny, tiny shorts. So pack your tiny film with masses of creativity and send it to us – good luck! 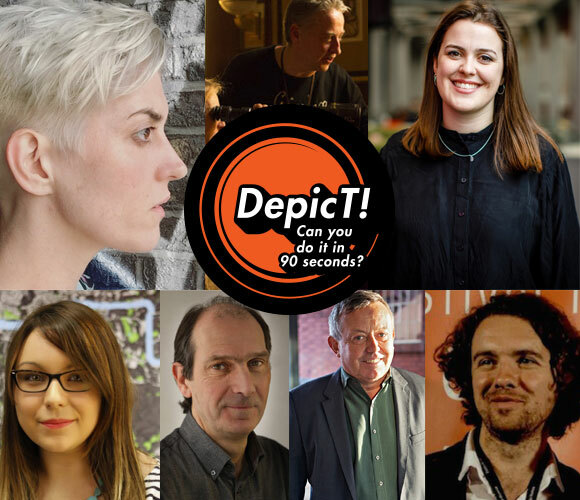 We are delighted to announce that this year’s Depict shortlist is live – and we need your votes to decide the winner of the coveted Shooting People Audience Award. Depict is Watershed’s ultra-short film competition. It’s been going for over twenty years and features as part of Encounters Short Film & Animation Festival (25 – 30 Sept) held here in Bristol. The premise? Create shorts that are 90 seconds or less in length, which challenge how and what we think of super short filmmaking. Receiving over 500 submissions from 59 different countries means we’ve had an especially exciting and diverse pool of mini movies to whittle down. 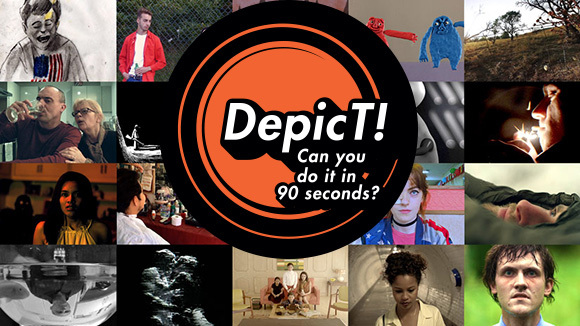 The twenty shortlisted films are now live on depict.org and awaiting your votes and comments. There are multiple awards and prizes to be won but we specifically need your help to decide the outcome of the Shooting People Audience Award. With a lifetime membership to Shooting People up for grabs (a global network of filmmakers and industry professionals), the winner of this prize is chosen entirely by the public through voting on depict.org. There’s a massively varied selection to choose from and we’d love to hear your thoughts, feelings and critical analysis in the comments section of each film. Join us on Sat 29 Sept at 15:30 during the Festival for the Depict Showcase – the big screen premiere of the Depict shortlist, a chance to meet some of the talent behind the films followed by a discussion on the ultra short film format hosted by Watershed’s Cinema Curator Mark Cosgrove. At the showcase we will also screen the winner of a super-short film competition #UKGermany2018 which was part of British Council Germany’s year-long cultural Season ‘UK/Germany 2018’. After the screening all ticket holders are welcome to join the Depict drinks, thanks to St Austell Brewery’s generous sponsorship. Our panel of judges will also meet during the Festival to select the winners of the other Depict prizes which will all be announced at the Award Ceremony. The 2018 jury is headed up by twice Oscar® and BAFTA nominated Cinematographer Seamus McGarvey ASC BSC (The Greatest Showman and Nocturnal Animals) on behalf of The Royal Photographic Society. Seamus is joined by leading industry practitioners; Catherine Bray, Channel 4 Random Acts Editor; Alexzandra Jackson, BFI Talent Executive; Colm McAuliffe, Shooting People Event Producer; David Sproxton, Co-Founder of Aardman Animations; Sorcha Bacon, producer and founder of Try Harder films; and Chris Auty, former film critic and producer, currently Head of Producing at NFTS. The jury have the tough job of deciding who will be awarded this year’s much coveted Depict prizes – the main Depict Award of £1,500, the Royal Photographic Society Cinematography Award of £1,000, the British Special Mention Award, a talent development package supported by BAFTA and NFTS, and the Random Acts Special Mention Award, that gives priceless exposure via Channel 4’s short form content platform and a mentoring session with Random Acts commissioning editor Catherine Bray. Remember though, the winner of the Shooting People Audience Award is down to you, so don’t miss your chance to have your say. Voting is now open on depict.org until 17:00 on Sat 29 Sept. Simply rate the film by selecting 1 – 5 stars or leave a comment if you want to say more and be part of the discussion. Happy watching! Including Oscar® nominated cinematographer Seamus McGarvey and Channel 4’s Random Acts Editor Catherine Bray. With submissions now closed, shortlisting is underway for this year’s Depict – Watershed’s super short filmmaking competition – that challenges filmmakers from across the globe to create an imaginative and original short film of 90 seconds or less. With over 500 submissions from 59 different countries, we’ve had an especially exciting and diverse pool of mini movies to whittle down to a final shortlist. We’ll be announcing that shortlist on Tue 4 Sept after which you’ll be able to view the selected films online at depict.org and vote for your favorite ahead of the Depict showcase during this year’s Encounters Short Film & Animation Festival (25 – 30 Sept). The Jury is headed up by Cinematographer Seamus McGarvey ASC BSC on behalf of The Royal Photographic Society; twice Oscar® and BAFTA nominated for ‘Atonement’ and ‘Anna Karenina’ and acclaimed for his work on films including ‘The Greatest Showman’, ‘Nocturnal Animals’, ‘The Avengers’ and ‘The Hours’ as well as music videos for the likes of U2 and The Rolling Stones and shorts including Sam Taylor-Wood’s Turner Prize nominated ‘Atlantic’. 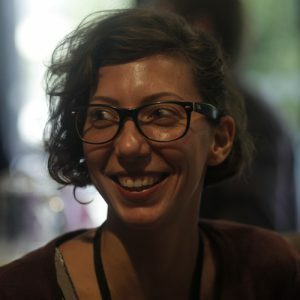 Before taking on her current role as BFI NETWORK Talent Executive for the Midlands, Alexzandra managed Phoenix Cinema and Art Centre’s learning and talent programme and led on national projects, including Access Cinema and Reel India. She also serves as Festival Director of Leicester’s International Short Film Festival. Catherine is an award-winning producer, critic and broadcaster. She also works as a commissioner in the arts, having been appointed Commissioning Editor for 4Talent Central by Channel 4 in 2008 and currently runs Channel 4’s Random Acts strand, commissioning and acquiring some 80 short films a year. Her work as a producer includes feature documentaries ‘Beyond Clueless’. Former film critic Chris Auty has produced films including Stealing Beauty, My Summer of Love, and 24 Hour Party People and is currently Head of Producing at NFTS. He sits on the governing board of the European Film Academy and has launched a new course Creative Business for Entrepreneurs and Executives, backed by the NFTS, Ingenious Media, and Sir Richard Branson. Colm works for Shooting People, the UK’s largest community for independent filmmakers. For SP, he curates and produces the Short Cuts competition and manages partnerships and collaborations. He is also live cinema curator/producer and academic while his writing has appeared in The Guardian, frieze, Sight and Sound and many more. David is the co-founder and Executive Chairman of Aardman. Together with co-founder Peter Lord, he has overseen the development of the company from a two-man partnership to one of the pre-eminent animation houses in the industry. Sorcha is a BAFTA nominated producer and founder of Try Hard Films, a company that champions marginalised voices which aren’t often seen on screen. Her latest short ‘Wren Boys’ (2017 Film London Slate) has been both BAFTA & BIFA nominated, won the Oscar qualifying Galway Film Festival and screened in competition at several festivals including Sundance. In 2018 Sorcha was named as one of six LGBT filmmakers to be given mentorship in partnership with BAFTA. The Jury will have the tough job of deciding who will be awarded this year’s much coveted Depict prizes – The Main Award of £1,500, the Royal Photographic Society Award of £1,000, the British Special Mention Award, a talent development package supported by BAFTA and NFTS, and the Random Acts Special Mention Award, a mentoring session with Channel 4 Random Acts commissioning editor Catherine Bray. We’re getting excited here at Depict HQ as there are only one week left until this year’s submission deadline (Mon 2 July – but you knew that already, right?). 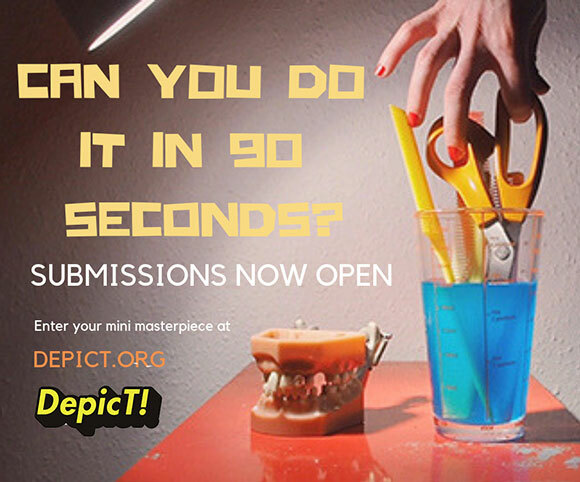 Depict is Watershed’s free competition for tiny films and each year we’re inundated with fantastic entries from around the world, all 90 seconds long or less. Submissions span every genre and style of filmmaking and come from people at all levels in their careers (or hobbies) and from all over the world. We remain immensely proud of the filmmakers who have entered and found their way onto every year’s shortlist, and subsequently go on to do amazing things – we also love staying in touch with them and finding out what they’re getting up to now. Last week we caught up with Alejandra to chat to her about making her winning film and hear her advice for anyone applying for this year’s competition. Can you describe your winning Depict film for us and how you came up with the idea? My film Vudú is about a mother and her three young children, who gather to practise voodoo, in order to make their national football team win a World Cup match. It’s actually very funny because it is a true story. My grandmother did that once with my mother and uncles, as a fun game, (with no witchcraft involved, of course) and it obviously didn’t work. But after all these years, they still remember fondly that story and laugh at it. When I heard it, I thought it would be a wonderful idea for a short film, and thought it would be funny, if done properly. What drew you to the Depict 90 second format? Because of the story I wanted to tell, and its structure and pace, I knew it had to be very short. Originally it was going to be a two-minutes short, but then, while browsing online, I stumbled onto DepicT!, and decided to cut my script short, so I could participate. Since it was such a short time to tell a story, the first challenge I encountered was knowing how to get the audience’s attention. I decided that, in order to make it memorable, the film had to be visually attractive, and it had to have a plot twist at the ending. So I started out from there. How did you find the making of your Depict film? It was very fun. I had a fantastic crew, and we filmed it in about 5 hours. I was very nervous, as I hadn’t worked with children before, but I found out that by talking to them as a friend, and not as a director, it was easier to work with them. The film was my graduation film. I had no professional experience, but some practise, and a couple of shorts I did for different classes. What have you been up to since your Depict success? Where did the competition take you? I’ve been working on a couple of films in the art department, which is one of my passions, and I’ve been writing another short, which I hope I can film next year. I have recently received emails from a couple of film festivals who are interested Vudú, which is fantastic, as it means it’s being watched and it’s getting attention. Can you sum up why Depict is important to emerging filmmakers? Depict is a wonderful way to get your work seen. It’s a great opportunity for new filmmakers to get their films seen by people who work in the industry, and in some cases, like mine, by people from another country. As a Mexican, it was amazing to realise that my film was not only understood, but also appreciated in the UK. The jury is also one of the reasons I loved being in Depict, as the special guest was the cinematographer Seamus McGarvey, who shot one of my favourite scenes, the tracking shot in Atonement, which was also one of the main reasons I decided to study filmmaking, so it was great and exciting to know that he was part of the jury. What would be your top three tips for this year’s Depict entrants? 1) Think of a simple story; you only have 90 seconds to tell it, so it has to be straightforward. 2) Be creative. It’s not what you tell, but how you tell it, what will make your film different. 3) Finding a great crew is important. Filmmaking is teamwork and having people who like each other is crucial for a good workflow. 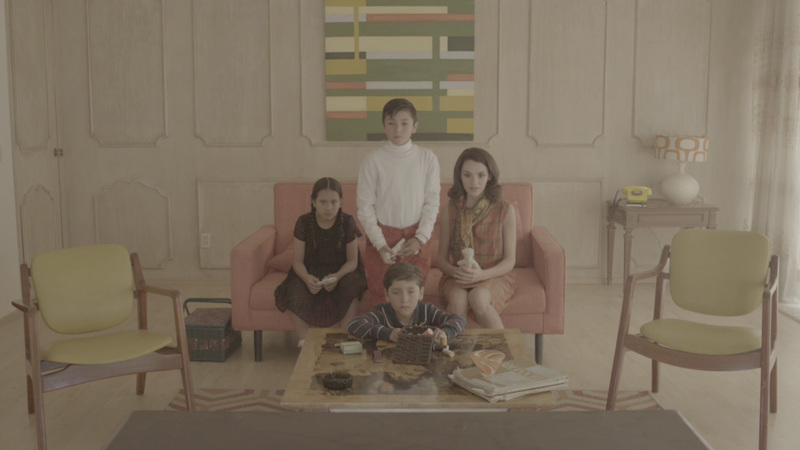 Check out Alejandra’s winning Depict film here…. Depict ’18 is open for entries until Mon 2 July 2017. We accept films from people at any level in their career or education, from anywhere around the world, and in any genre. Our only rule is that it has to be 90 seconds long or less. There’s up to £2,500 in prize money to be won plus loads of development opportunities, including mentoring from industry professionals and invaluable exposure at Encounters Short Film and Animation Festival. Good luck! Submissions are now open for Depict 2018 – our ultra-short film competition that asks filmmakers from around the world to create an original short film under 90 seconds long. Committed to uncovering emerging filmmaking talent, we’re looking for your mini-masterpieces to be in with a chance of being selected for this year’s shortlist. It doesn’t matter if you’ve got a big budget or a teeny tiny one; whether you specialise in documentaries, animation or live-action; whether you live for sci-fi, horror or rom-coms; or hail from Mexico, Japan or Hungary – as long as your film is less than a minute and a half in length, you can submit your short film to this year’s competition for free! We’re interested in seeing as many original, imaginative and engaging films as possible and giving the best of these works and the talent involved the support and exposure they deserve via the Depict competition, which provides a platform to showcase and valuable industry networks. If your film makes the Depict 2018 shortlist, you’ll be invited to showcase your film at Encounters Short Film and Animation Festival (25 – 30 Sept 2018), the UK’s longest running competitive short film and animation festival. Distributors, producers, funders, exhibitors, fellow filmmakers, and enthusiastic fans of the short film format – not to mention our stellar judging panel, which last year included twice Oscar® and BAFTA nominated Cinematographer Seamus McGarvey – will all be there, so it’s the perfect opportunity to get some priceless exposure and industry experience. You’ll be in with a chance of winning up to £2500 prize money thanks to sponsors including The Royal Photographic Society and Aardman Animations as well as other exclusive prizes and opportunities to help you get to the next stage of your career courtesy of partners such as Channel 4’s Random Acts. New this year, we are delighted to partner up with BFI NETWORK, a UK wide initiative with a mission to discover and support talented writers, directors, producers and artists at the start of their filmmaking careers. They join long-standing industry partners BAFTA, NFTS and Shooting People to provide the Depict 2018 British Special Mention Award, a tailored package of industry support which will both promote the winning 90-second film and further develop the filmmaker’s skills including exposure on the BFI NETWORK industry platform, a one to one with BFI NETWORK’s Talent Development Manager Matimba Kabalika and a discounted pass to the BFI London Film Festival. It’s an exciting moment to build on the momentum of the BFI NETWORK’s plans to support talent from across the UK in collaboration with film organisations and leading cultural venues including Watershed in the South West to provide funding for shorts, support for the development of first features, as well as a range of professional and creative development programmes. 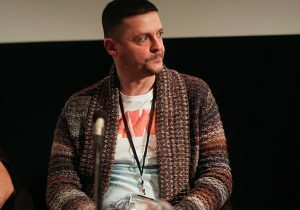 Ninian Doff of Depict 2013 fame – who scooped both the Main Depict Award and The Shooting People RPS Audience Award with comedic gem Cool Unicorn Bruv – has gone on to make impressive music videos for the likes of Kasabian. Sound like your kind of challenge? As long as your film is under 90 seconds or less, you can enter your film to Depict – it is always totally free to enter your movie and you can submit your movie using either Vimeo or YouTube, making it easy to get your work to us! Submissions close on Mon 2 July 2018 so there is plenty of time to read the rules and get some more inspiration by checking out our archive of nearly 20 years of teeny, tiny shorts. So pack your tiny film with masses of creativity and send it to us – good luck! Filmmakers from Mexico, France and the UK shared the glory in this year’s DepicT! – Watershed’s 90 second filmmaking competition – at the recent Encounters Short Film Festival in what was our most international shortlist to date, selected from over 500 entries from 66 different countries. The Main DepicT! Award presented by Jury member Åsa Lucander, Director for Aardman Animations went to Vudù by director Alejandra M. Perrusquía, who travelled all the way from Mexico to pick up her award – a £1,500 cash prize and a lifetime membership to our friends at Shooting People. “the most complete film, with its seductive colour palette and stylised mise-en-scene”. Lead actor Tom Hawkesworth picked up two DepicT! Awards on behalf of British film Winnow by director George Lewis; firstly, the DepicT! RPS Cinematography Award, a £1000 cash prize c/o The Royal Photographic Society and the DepicT! Random Acts Award, which offers a unique opportunity to be featured on Channel 4’s Random Acts platform and a chance to pitch for a new commission. ‘DepicT! is a fantastic way to exercise your creativity in a very concentrated way. With Winnow I tried to challenge myself to pack as much visual storytelling as I could into the 90 second format and I’m extremely happy the jury responded so positively to it. I’m extremely happy to learn that “Ojalá” has won the Audience award. It’s a very important story to me and I’m glad it has touched the audience as well! A big thank you to all the filmmakers who entered this year, to our fantastic jury members including Afolabi Kuti, BAFTA-winning producer of short Home (on behalf of BAFTA), Åsa Lucander, Director for Aardman Animations, Beth Webb, Multiplatform Editor at Channel 4’s short-form arts strand Random Acts, Chris Auty, former film critic and producer, Head of Producing at NFTS, Matt Turner, Shooting People Membership & Editorial and BAFTA winning Cinematographer Seamus McGarvey ASC BSC on behalf of The Royal Photographic Society. We are grateful to those of you who voted and supported the competition and of course, to our sponsors and partners: The Royal Photographic Society, Channel Four, Aardman Animations , Films@59, BAFTA, NFTS, Shooting People, British Council, Independent Cinema Office and Encounters Short Film & Animation Festival. With the Mon 3 July deadline for entries to this year’s DepicT! – Watershed’s super short film competition – beginning to loom on the cinematic horizon, we took some time out to catch up with Croatian director Petra Balekic, one of last year’s DepicT! winners, to get her insights into what it takes to be successful DepicT! filmmaker. DepicT! prides itself on both the quality of its films and the filmmakers who submit them. Some of our entrants are seasoned directors, enticed by the filmmaking challenges of DepicT’s uniquely constrained format. But not all of our shortlisted filmmakers come with oodles of experience under their belt before they enter. Take a look at Petra’s bite-sized gem Impacts for example – originally made as part of an entrance exam for her MA in animation – which scooped her both the DepicT! ’16 Random Acts Award and the festival Main Award after drawing praise from the Jury for its simple and bold execution. My film is a 2D animation that thematises violence towards the individuals who refuse to follow society’s norms. The idea for this film came from observing a society that is often very closed and not prepared to accept behaviors that are unusual for its particular surrounding. I’d actually made this film before I found out about DepicT! but I just thought it fitted the entry criteria so well. But I’m generally interested in the short form because it allows me to go straight to the point. That’s what I like. And that’s why I think the 90 second format is really great. But at the same time it’s very challenging because there’s only very short amount of time in which to present a meaningful story that has a head and a tail. It was hard, because I had no experience before, but also interesting, because I was really passionate about learning animation. Afterwards I realised it should’ve been done in much less time and with much less effort but I wasn’t aware of it in that moment. I was a graduate student at the Animation and New Media Department at the Academy of Fine Arts in Zagreb and I’d previously graduated from the Graphic Arts department. But I had no experience in animation before I made this film; it was my first one and I actually made it as part of an entrance exam for the MA in Animation. Afterwards the film was also shown as part of Confrontations Competition at Interfilm – Short Film Festival in Berlin. I was invited there after they found out the film was awarded the main prize at DepicT! so I’m really grateful to organisers of DepicT! for giving the film this exposure. At the moment I’m preparing to make my next short animated film, and if everything goes well it should be finished in 2019. In the meantime I also graduated with another short film named The Stranger in My Head. It’s a four and a half minute long animation based on my memories of the Albert Camus’s book The Stranger that I read twelve years ago. The film is going be part of Animafest in Zagreb next month and I hope it’s going to appear at many festivals in the next couple of years. DepicT! is very focused on the idea and author’s potential and it accepts films of any budget. So it’s really helpful to young and emerging filmmakers who have talent but didn’t get a chance to find funds or have a basic knowledge when it comes to film industry. DepicT! gives a couple of awards that are helping talented directors to integrate into film industry more easily – there’s a chance to get free lessons at BAFTA, a lifetime membership at Shooting People, have your film shown on Channel 4’s Random Acts. And the 90 second format itself is important for emerging filmmakers because it helps with learning how to summarise your idea in order to make a film that is clear to the audience. Choose a topic you’re really passionate about. Make a simple but remarkable design and summarise as much as you can. DepicT! ’17 is currently open for entries. Remember, it doesn’t matter if you’ve got a big budget or a teeny tiny one; whether you specialise in live action, animation or documentary; whether you live for horror, comedy or romance; or hail from Australia, Argentina or Croatia – so long as your film is less than a minute and a half long. It’s completely free to enter and there’s up to £2500 prize money, invaluable industry exposure as part of Encounters Short film and Animation Festival, plus other exclusive prizes up for grabs. So get making!